The Yellow Springs Arts Council Gallery, 309 Xenia Avenue, will have open hours this Saturday, Dec. 11, noon-4 p.m. Stop by and see the work of Travis Tarbox Hotaling and Jade Nikita McConnell. 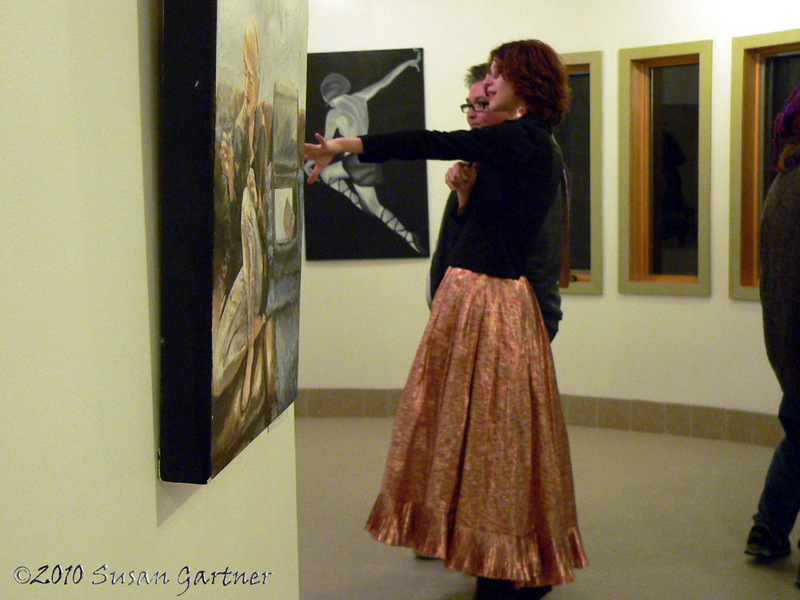 Video by Susan Gartner is from the artists' Opening Reception on Friday, November 19. Entertainment included belly dancing by Erin Wolf and Cami Knight and music by Rachel Mousie.